If you want to see archived results please visit this page. Two’s : Ronan MacNamara , Ronan MacNamara Jr.
G.McGovern Royal Tara G. C.
Sunday 14th April 18 Hole Singles Stableford. Winner: Noeleen Campbell (14) Imelda Collins (24) 44 points, County Meath Golf Club. 2nd: Anna Gaffney (26) Joan Crolly (30) : 42 points OL9, County Meath Golf Club. 18 Hole Fourball Betterball Stableford. 9 Hole S/Stableford Winner: Margaret D’arcy. Sunday 31st March 18 Hole Singles Stableford. Winner: Barbara Anderson (22) 36pts. Winner: Dorothy Scully (25) 39pts. Cat A: Patricia Dempsey (14) 36pts. 9 Hole: Winner: Bridie Morgan. Martin Byrne (12) Co. Meath G.C. Eamon Murray (10) Co. Meath G.C. Winner: Margaret Wilson (37) 24pts (23d/c). 2nd: Claire McLoughlin (39) 22pts. 3rd: Valerie Fitzgerald (20) 21pts ol6. Singles Winner: Helena Cooney (32) 149pts. 2nd: Julie Goddard (23) 146pts. 1st: Marian Guckian (32) 27 pts (26) d/c. 2nd: Margaret Wilson (37) 25 pts. 3rd: Ruth Brogan (30) 24 pts.
. Cat B: Phil Doyle (25) 23pts. Two’s: Michael Dempsey, Liam Harnan, Mervyn Heffernan, John Mangan, Joe O’Dwyer, Brendan Pollock & Dermot Sweeney. 1st: Siobhan O’Keeffe (28) 24pts. 2nd: Kay Keating (12) 24pts (23)d/c. ol3. 3rd: Mary Rayfus (29) 23pts. Two’s: Patrick Blount, Andrew Brogan, Ray Dorran, John Farrell, Frank Holden, Peter Keogh, Feilim O’Neill, Stephen Quinn & Liam Harnan. 1st: Eileen Kavanagh (28) 21 ol6. 2nd: Anne Moran (14) 21pts. 1st: Helena Cooney (32) 27pts. 2nd: Anne Moran (14) 26pts. 2nd: Ann Foley (12) 20pts. Two’s: Pat Conway X2, Martin Bolger X2, Allen Brennan, Gerry Coss. Vincent Farrelly, Liam Harnan, Paul Harnan, Brian McGovern, Joe O’Dwyer, Feilim O’Neill & Dean O’Sullivan. CO MEATH GOLF CLUB LADIES COMPETITION Sunday 13th January 2019. 1st: Patricia Dempsey (14) 29pts. 1st: Brid Cantwell (28) 28pts. 2nd: Therese Brennan (34) 26pts (ol3) 27 d/c. 1st: Angela Barron (9) 26pts. 2nd: Kay Keating (12) 22pts. Ken Hough, John M Kelly & Declan Tuite. Ronan MacNamara (Jnr) , Martin Murray & Brendan Swan. Overall Hamper winner: Noeleen Campbell (14)72nett. Overall Hamper winner: Annette Goulding (21) 69 nett. Cat A Mini Hamper: Jane Hughes (13) 74 nett. Overall Hamper winner: Anne Keane (31) 39pts. Cat B Mini Hamper: Ger Flattery (36) 37pts. Two’s: Gerry Dempsey, Ray Dorran, Eamonn Murray & Noel Tully. CO MEATH GOLF CLUB LADIES COMPETITION Christmas Fare Sunday 25th November 2018. 14 Hole Singles Stableford - Christmas Fare Winner: Ann Foley (12) 27pts Thursday 29th November 2018 8 Hole Singles Stableford Winner: Anne Toner (22) 21pts. April Medal: Sunday 22nd & Thursday 26th April Sponsor: Jane Hughes Winner: Teresa Melia (29) 73 nett. May Medal: Thursday 17th May Sponsor: Susanne Fox Winner: Teresa Melia (28) 67 nett.
. August Medal: 30th August Sponsor: Trudi McEntee Winner: Laura Tolan (8) 72 nett. 14 Hole Singles Stableford – Christmas Fare. Brendan Pollock, Brendan Swan & Michael Tolan. F. Hillard, J. O’Dwyer, B. Pollock & D. Rayfus. CO MEATH GOLF CLUB LADIES COMPETITION Sunday 28th October 2018. 14 Hole Singles Stableford Christmas Fare Winner: Valerie Fitzgerald (20) 28pts Thursday 1st November 2018 14 Hole Singles Stableford – Christmas Fare Winner: Geraldine Flattery (35) 32pts (31d/c) ol7 Cat: A. Margaret Sheridan (20) 30pts. Cat: B. Dolores Lyons (21) 32pts (31d/c) Cat: C. Siobhan O’Keeffe (28) 29pts. 9 Hole: Dympna Fegan. CO MEATH GOLF CLUB LADIES COMPETITION Sunday 14th October 2018. 18 Hole Singles Stableford Winner: Ann Foley (13) 39pts. CSS: 74. Thursday 18th October 2018 14 Hole Singles Stableford – Christmas Fare Winner: Susanne Fox (32) 29 pts. Cat. A: Laura Tolan (8) 28 pts. Cat. B: Geraldine Flattery (35) 28 pts. CO MEATH GOLF CLUB Sunday 7th October 2018. Winner: Ruth Brogan (32) 36pts. CSS: 73. Thursday 11th October. Winner: Brid Cantwell (28) 31pts. 2nd: Eileen Kavanagh (29) 27pts. 9 Hole Winner: Margaret Wilson. Summer 9 Hole Open Results 2018. 9 Hole S/Stableford Winner: Evelyn Jordan. M. Lynam , S. Moran , J.J. Mulligan , Ed O`Doherty ,E. O`Neill ,D. Rayfus. Sponsor: Jack Kennedy, David Bannon & John Gillen. Michael Heaney & Emmet O’Neill. Sponsors: President Valerie Fitzgerald, Jimmy Elsofany, Glanbia, Emo Oil Trim, & Michael McDonnell. Winner of The Peggy Venney Cup: Mullingar G.C.
. 2nd: B. Galligan (22), C.Maher(24),B. Chambers(29), T. McKenna(32) Mullingar G.C. 90pts. 4th: K. Elliott (13), J. Dillon (23), P. Mahon (26) & B. Duffy (32). Castlebarna G.C. 89pts. Nearest the Pin: Margaret McDonnell. Hole in One: Rita Kearns Hollestown G.C. Winner: Dolores Lyons (20) 36pts. Winner: Margaret Sheridan (22) 41pts. Second: Anne Burke (21) 40pts. 9 Hole Competition Winner: Patricia Gunning (31) 20pts. D Clavin, R Lynch, N Dillon, Noleen Campbell, P Rayfus, C Giles, P Doran, Ann Moran, T Gaffney, P McGoldrick & V Foley. Winner: Barbara Anderson (23) 40pts. 2nd: Noleen Campbell (14) 37pts. Winner: Dora Glynn (25) & Pauline Holt (29) 46pts. Edenderry G.C. 2nd: Ann Foley (12) & Pat Giles (23) 45pts. Co Meath G.C.
. 3rd: Phil Weldon (23) Kilcock G.C. & Rosaleen Collins (23) Hollystown G.C. 44pts. 4th: Kay Keating (12) & Majella Tobin (22) 43pts ol9. Co Meath G.C. Two’s: Carmel Kelly, Claire Farrelly, Anna Gaffney & Laura Tolan. 9 Hole Competition Winner: Anne Dempsey (25) 21pts. Winner: Noleen Campbell (14) 72nett. Gerry Maguire & George O‘Neill. Two’s Alan Clarke,David Honey, Peter Mulryan, Shaun Mulryan, Michael O Farrell. Winner: Barbara Anderson (24) 38pts. Two’s : Paraic Giles, Emmet O Neill. Christine Flanagan (28) Ger Geoghegan(16) 95Pts. Two’s: Jerry Kearney, Paul Barrett, David Baggot, Gerry Ennis. Kilcock GC. Killeen GC. Summerhill GC. OPEN WEEK 2018 Thursday 5th July. Sponsors: Kilkenny Shop Trim & Teresa & Lisa Melia. Sponsors: Dolores Lyons & Geraldine Flattery. Winner: Olive McHugh (15), Anna Gaffney (25) 65 nett. Co. Meath G.C. 2nd: Eileen Kavanagh (28) & Liz Maher (38) 68 nett. 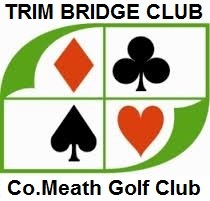 Co. Meath G.C. Two’s: Eamon Murray, Noel Doran, Martin Murray, Ronan O’Keeffe on 10th hole. Two’s: M.Collins, J.Farrell, J.Gaffney, K.Gormley,D.Higgins,R.MacNamara. Martin Murray, Mark O’Connor & Feilim O’Neill. D Murray, D Smith and C Stone. CO MEATH GOLF CLUB LADIES COMPETITION Thursday 14th June 2018 18 Hole Single Stroke (GOY) Medal Competition Sponsor: Nina & Gerry Oâ€™Reilly Medal Winner: Kay Keating (13) 73 nett. Gross: Grainne Murray (11) 85 gross pts. 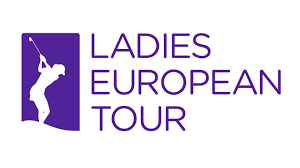 CAT A: Anne Burke (20) 77 nett ol9 CAT B: Anne Holland (28) 75 nett ol9. CSS 74 9 Hole S/Stableford Winner: Miriam Fortune. CO MEATH GOLF CLUB LADIES COMPETITION Thursday 7th June 2018 OPEN 2 LADY TEAM EVENT Sponsor: Ninaâ€™s Ladies & Childrenâ€™s Fashion, Trim Winner: Nina Oâ€™Reilly (23) & Evelyn Jordan (34) Co. Meath G.C. 43pts 2nd: Ann Cribben (35) & Angela Kinsella (36) Kilcock G.C. 42pts. Gross: Angela Barron (9) Co. Meath G.C & Mary Lynch (15) Black Bush G.C. 27 gross pts. 3rd: Therese Brennan (36) & Liz Maher (38) Co. Meath G.C. 41pts ol9. Twoâ€™s: Nina Oâ€™Reilly, Ann Foley, Moira Jordan, Anne Moran, Kathleen Cummins, Alice Oâ€™Doherty, & Margaret McDonnell. 9 Hole Competition Winner: Margaret Darcy 19pts ol6. 1stAdrian Guckian (4) &Philip Guckian (16) 47 Pts ol9. 2nd Mick Giles (13) & Patricia Giles (24) 47Pts ol9. 3rd Noel Boyle (20) & Fergul Hillard (16) 47 pts ol6. CO MEATH GOLF CLUB LADIES COMPETITION MEMBERS WEEKEND 31st MAY â€“ 3rd June 2018 Winner:	Mary Rayfus (32) 43pts. 2nd :	Margaret McDonnell (19) 39pts. ol9. Gross : Angela Barron (9) 28 gross pts. Cat A:	Olive McHugh (15) 36pts. Cat B:	Dolores Lyons (	22) 38pts. Cat C:	Nuala Oertel (29) 39pts. Twoâ€™s : Thursday: Patricia Dempsey, Julie Goddard, Dolores Lyons, Grainne Murray, Anne Toner. Friday: Kay Keating (4th). 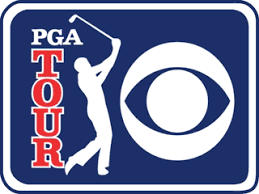 Saturday: Teresa Melia Css Day 1: 73 Css Day 2: 73 Css Day 3: 73 Css Day 4: 73 9 Hole Winner: Pauline Rayfus (32) 20pts. 1st Ladies: Mary Rayfus (32) 43pts. Ladies Cat A: Olive McHugh (15) 36pts. CO MEATH GOLF CLUB Sunday 20th May 2018 18 Hole S/Stableford Winner: Helena Cooney (34) 35pts.ol9 Thursday 24th May Open Two Lady Team Event. Sponsors: Terry & Gaye Lyons & Fureyâ€™s Pub Moyvalley Winner: Olive McHugh (15) & Susanne Fox (33) Co. Meath G.C. 43pts. On last hole. 2nd: Grainne Murray (11) & Jane Hughes(13) Co. Meath G.C. 43pts. Ol9 Gross: Laura Tolan (8) & Angela Barron (9) Co. Meath G.C. 32 Gross pts. 3rd: Barbara Anderson (23) & Anne Keane (31) Co. Meath G.C. 43pts. 9 Hole Winner: Margaret Darcy. Lady Captain’s Prize to Men. Headfort G.C. New Forest G.C. Noel Tully & Clint Williams. CO MEATH GOLF CLUB LADIES COMPETITION Sunday 22nd and Thursday 26th April 2018 18 Hole Single Stroke (GOY) Medal Competition Sponsor: Jane Hughes Overall Medal Winner: Teresa Melia (29) 73 nett Gross: Laura Tolan (8) 85 gross. Sunday 22nd April Winner: Anne Toner (22) 75 nett CSS: Reduction only Thursday 26th April Cat A: Winner: Lynn Elliott (18) 75nett. Cat B: Winner: Eileen Kavanagh (29) 81 nett. Ol9. CSS: Reduction only. 9Hole Singles Stableford Winner:Felicity Cuthbert.